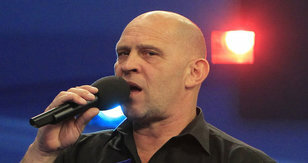 He has one of the most recognisable voices in the world of darts is now an integral part of Team Unicorn. He has taken charge of all the big matches and big finals for many years and has many strings to his darting bow! 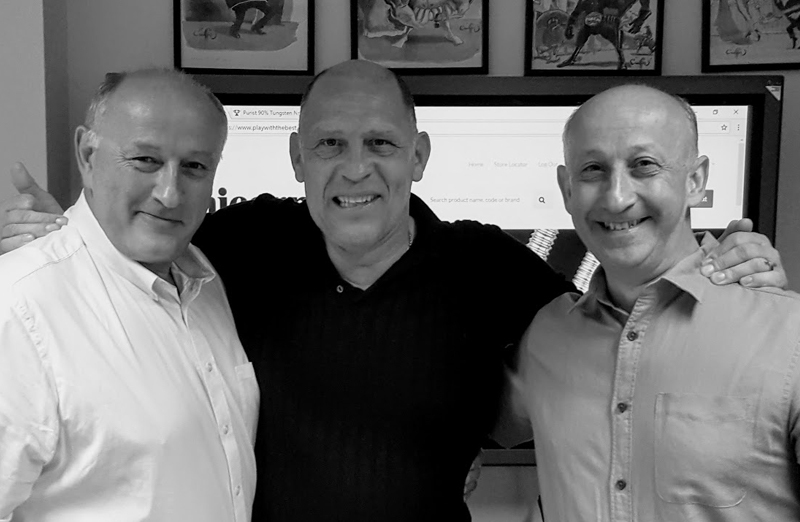 These days, there is so much more to Russ Bray than darts….one of the top referees in the business with the golden tonsils to match! Incredibly, he has now called four magical 9-darters on ‘live' television….three by Phil Taylor and one by Michael Van Gerwen in Holland. His familiar gravel tones are known worldwide. 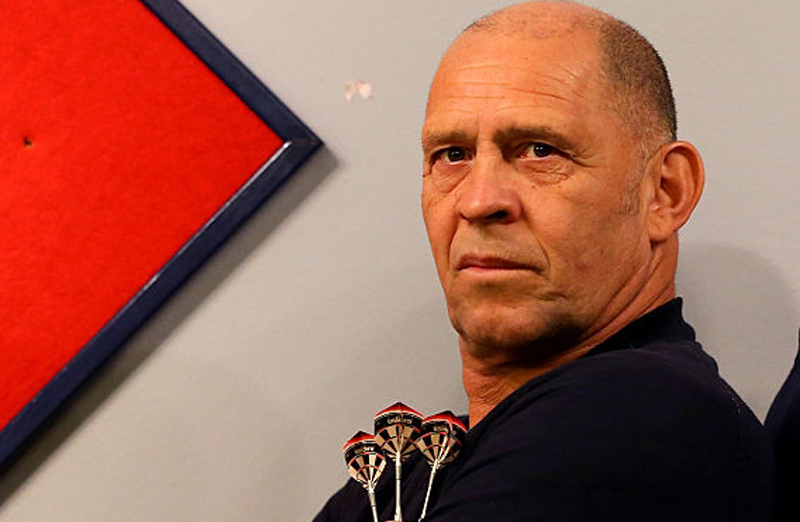 The cry of "game on" and the shout of "one hundred and eighty" have made Russ a household name. 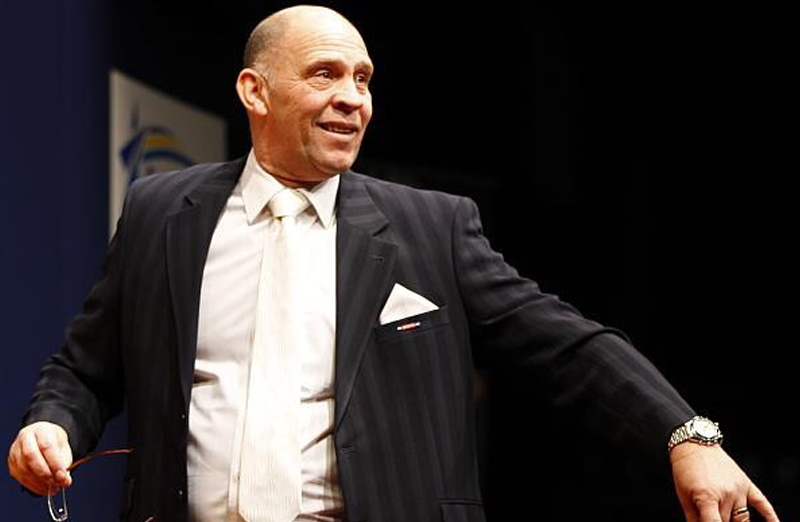 He is highly respected as a referee all over the world and is hugely popular with darts fans wherever he goes. And in July 2008, Russ wrote his name into the Guiness Book of Records at the World Matchplay Championship in Blackpool. He now holds the world record for hitting the bullseye OUTSIDE on Blackpool Promenade. Russ nailed it from 10 feet despite a gusting 30mph wind! Nowadays, he is much in demand for voice-overs and appears regularly on TV and in films. From Eastenders and Little Britain to Holby City and The Last Detective. As well as appearing in several films, his voice is much in demand….from kids TV programme Wunderpets on Nicklodeon to Mc Coys Crisps, burgers, the World Championship darts game on the Play Station and Wii. And talk about being in the right place at the right time to launch your career! Back in the day, it was a strange twist of fate that saw Bray come into the job that has made him the man he is today. "It's all about being in the right place at the right time," he admitted. Russ used to throw a mean dart or two. He was a county standard player with Hertfordshire for many years and actually played the professional circuit. "I really enjoyed that time and won a couple of tournaments. Eric Bristow and I won the Finland and Norway Pairs Titles and it was a lot of fun. I have to be honest though and admit I wasn't quite good enough to go all the way to the top." He stumbled into calling and refereeing by accident. 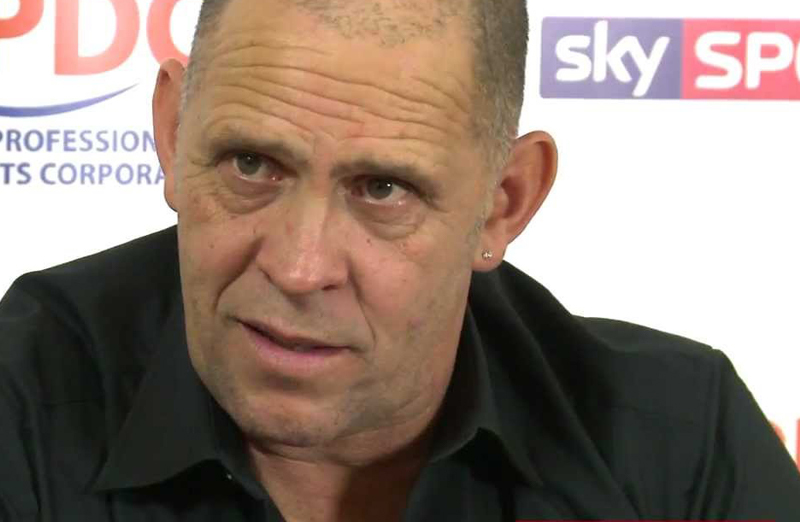 Russ explains: "At one of the county matches, the caller didn't turn up. I stepped in, people like what they heard and it all went from there." 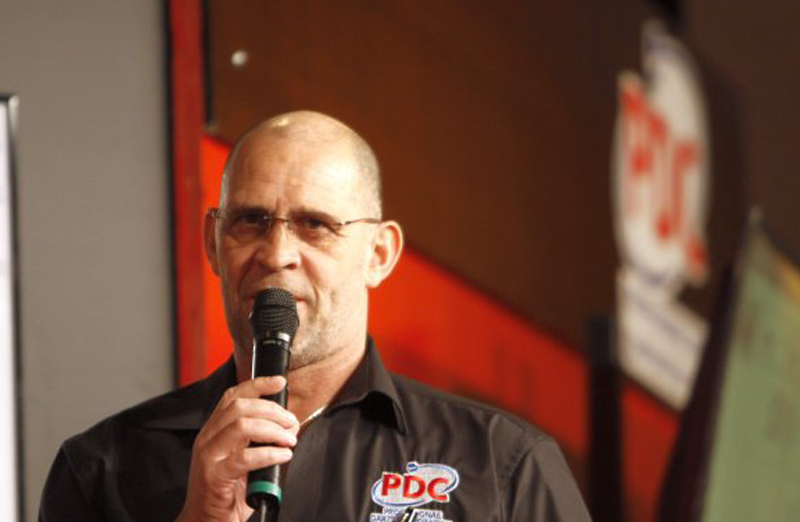 In 1996, Russ contacted the PDC to see if they wanted a reserve referee to support the experienced Freddie Williams and Bruce Spendley. He was given a trial at the World Matchplay Championships in Blackpool. 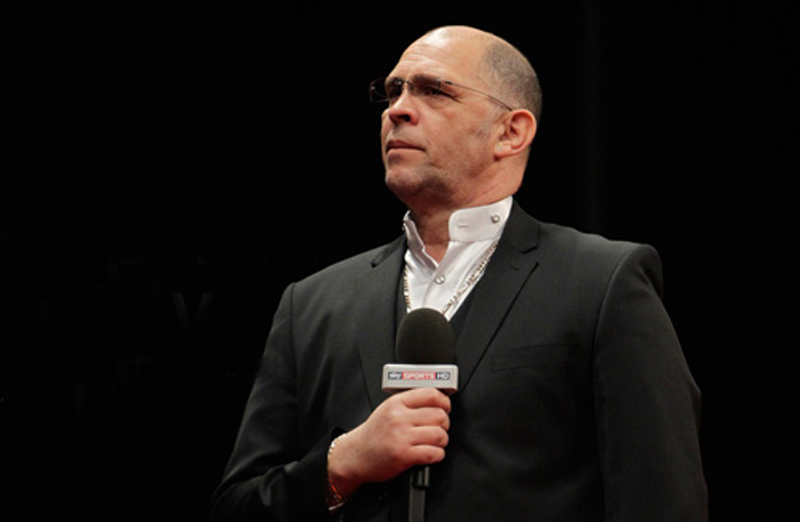 He takes up the story: "It was unbelievable because my first ever match featured the great John Lowe. It gave me a real buzz. I thought it had all gone well and they gave me a job! My first tournament, as part of the team, was the 1997 World Championships at the Circus Tavern and to be honest, I've never looked back." It is certainly a pressure job in front of packed houses and a huge live TV audience on Sky Sports but Russ takes it all in his stride. "The maths are second nature. It is just like riding a bike! Sometimes though, it can go wrong!" "At the World Championships a few years ago, I made a complete mess of calling a throw from Colin Lloyd. I got it wrong, then got it wrong again, before finally getting it right! Colin saw the funny side and the crowd were laughing as well. Somebody wanted to give me their glasses!" "I get a huge amount of enjoyment out of what I do and the deal with Unicorn is the icing on the cake for me," he said. So, what about the best moments of his career? "The number one for me just has to be back in July 2002. Phil Taylor's history-making moment, when he became the first player to nail a 9-dart finish on live TV. He was playing Chris Mason at the World Matchplay Championships and to call that in was just amazing." " There are three matches which really stand out for me. John Part's epic victory over Phil Taylor in the World Championship Final. Another game involving Taylor, also at the Circus Tavern, when he beat John Lowe 3-1 but it was a lot closer than that and there were 17 maximum's in the match. The standard was mind-blowing. Finally it has to be the epic World Championship Final - the last one at the Circus Tavern - when Barney came back from the dead to beat Taylor in that last leg sudden-death shoot-out….totally amazing!" 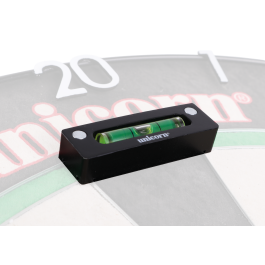 From America to Australia and all over Europe, Russ Bray is a pivotal part of the darts success story over the last decade and is proud to play his part in the growing success of Unicorn. There really is only one Russ Bray!